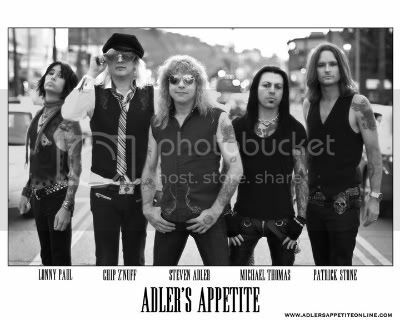 BLACK SHEEP frontman WILLIE BASSE has been added as direct support on select dates on Adler's Appetite's upcoming tour. Basse is touring in support of his new single, 'Break Away', featuring GEORGE LYNCH on guitars and SCORPIONS' James Kottak on drums, which was released through iTunes and all digital retailers. "Before I went out with LYNCH MOB in January, I went to see Steven play with Adler's Appetite at the Whisky A Go-Go during NAMM and I was totally blown away! Steve was the best I've seen him and Guns N' Roses used to rehearse at my studio, so I know the difference," commented Willie Basse. "I'm ecstatic about touring with Steve Adler, as this will be a serious, real, rock show! Everyone be ready because this tour is going to be one of those legendary rock n' roll parties I talk about in my bio."